If I had a nickel for every time I was interrupted during storytime so a kiddo could tell me that he or she got something new (I got new shoes!) I could be a slightly not-so-broke blogger. new socks not only embraces the new appeal, it celebrates it! 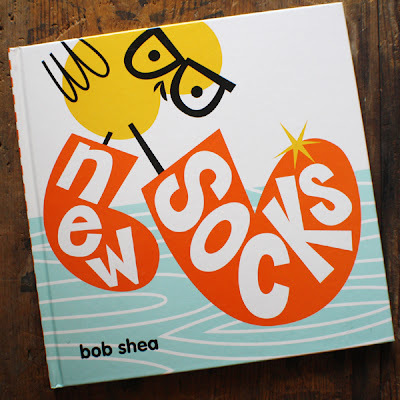 The illustrations are bold and simple and the read aloud effect has kiddo appeal. I adore new socks. To go along with the book, have your kiddo create their own happy, chickie with new socks! Prep white paper by having your kiddo draw a series of squiggles lines or loops in white crayon over the bottom half. See cover of book as a guide. 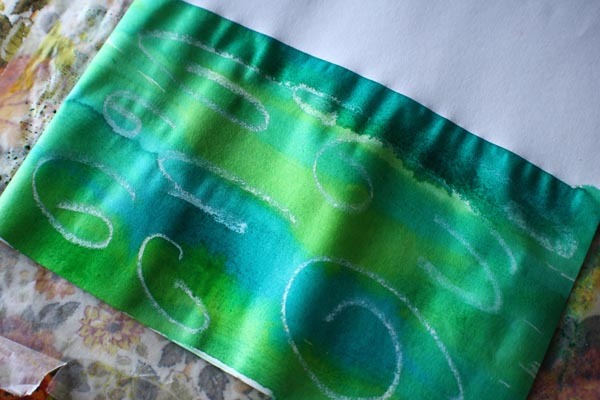 Paint over white lines with chosen color of watercolor paint and set aside to dry. 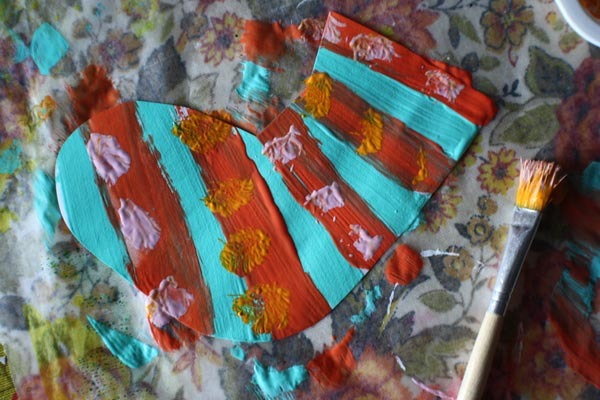 Cut out chickie shape from construction paper. Any color would be great. 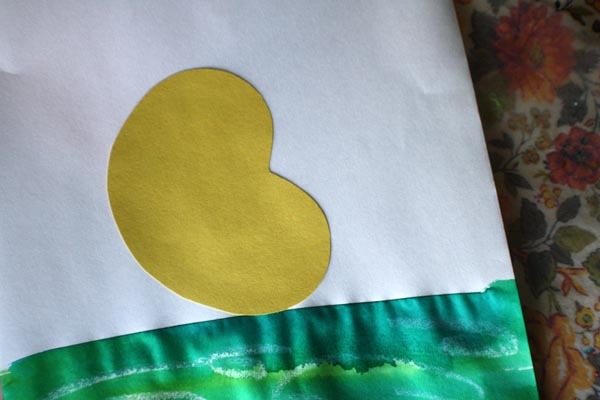 Glue to the painted paper once that paper is dry and have kiddo draw features of their choice with a black marker onto their chickie (aka jelly-bean) shape. 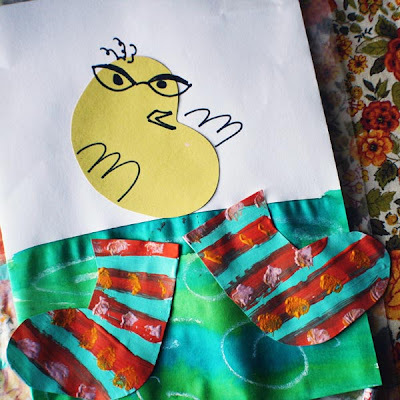 Cut out sock shapes from white paper and have your kiddo paint, color, collage however they choose to make the most fantastic pair of socks ever! 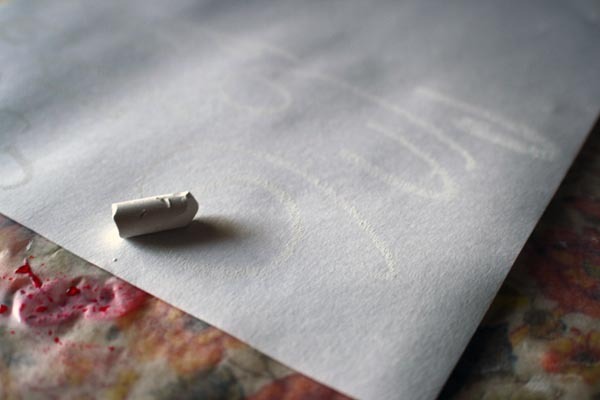 Once dry, use a glue stick to assemble and stick all the pieces onto their "cover page" and viola! They too now have new socks!